Save Time. Batch Your Emails. What if you could save an hour or two a day? You can. Minimize your distractions. A great example is batching emails. I save an estimated 1-2 hours a day by batching emails to once a day, sometimes twice. But never more. 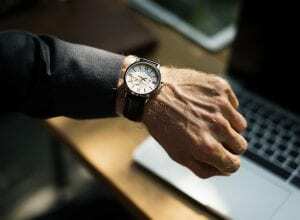 Business owners that receive a lot of emails will be stuck in there all day if they don’t schedule time to check emails and commit to only that time. Depending on your industry, decide if communication would be more effective to check/send emails in the morning, mid-day, or afternoon. Some testing might be worthwhile to make sure you can still reply promptly. Go to the next level and disable all notifications. Turn off automatic email downloads, disable email dock/tab notifications, etc. If you don’t stop the notifications, you will continue to be distracted, and the interruptions won’t save you much time. For me, I manually hit the “receive” button to download new emails. As I’m productive throughout the day I often have to shoot off an email or two. While I’m in my inbox composing an email, I don’t want to be distracted by the anxiety of seeing unopened emails. With all notifications and automatic downloads disabled, I can go about my day distraction-free and full of productivity.